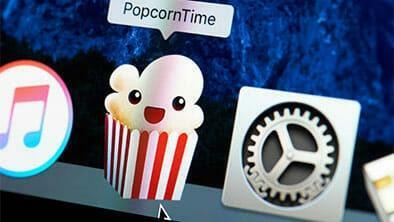 Popcorn Time is one of the leading ways to stream video content online. However, it can leave you vulnerable to privacy issues and put your personal details at risk. It can also be blocked entirely, depending on where you are located. Using a VPN to unblock Popcorn Time protects you while streaming the latest TV shows and movies online, and allows you access if you’re in a location where it is banned or restricted. By encrypting your internet usage you won’t be traced and can use Popcorn Time without fear of being caught out. But the legal controversy is very real, we take a look at ways around those issues. After testing, we recommend ExpressVPN as the best VPN for Popcorn Time. Why Do You Need a VPN In For Popcorn Time? Popcorn Time gives you access to all the latest shows and movies, and isn’t geo-restricted either; meaning that you can access it from all over the world. As Popcorn Time uses torrents to share files between users, the legality of using it depends on your country of origin. To use it without fear of legal problems, you’ll need to boost your privacy. Because Popcorn Time shows programs and TV shows through unofficial means, users need to be sure that online activity is not tracked. For instance, in countries such as the US and the UK, companies are employed to police the use of torrents via trackers and various other methods. It could lead to a cease and desist letter from your ISP, while Australia has the ability to impose heavy fines on those it catches downloading illegal files. If you want to take the risk, you’ll need to arm yourself with an anonymous VPN for Popcorn Time – something that the site itself actually suggests to its users with a Popcorn Time VPN warning as you enter the site. A VPN will mask your connection or change your location, so it should get you past any blocks or safeguards you’ll find online. The best VPNs also keep no logs of your data, so there won’t be any records of your torrent use in the first place. ExpressVPN is our favorite VPN on the market and fully supports P2P sharing and torrenting. NordVPN is yet another VPN that supports P2P sharing making it a suitable VPN for Popcorn time. Sign up with HideMyAss here. SaferVPN could not make using Popcorn Time any safer! PrivateVPN prides itself on the protocols it employs to keep its customers’ data secure and anonymous. IPVanish is a high-end VPN offering plenty of features to keep its users safe. DNS leak prevention and a killswitch – these two features further protect user privacy with IPVanish for Popcorn Time. How Does A VPN Work With Popcorn Time? Using a VPN, or Virtual Private Network, means that you are encrypting the data that you send and receive when streaming content from Popcorn Time. Therefore, while in some countries it is against the law to stream content through unofficial sources, with a VPN you are protected. When you connect to a VPN your activity can’t be traced. Whatever you are streaming can only be tracked to the server you’re connected to, and this server is hosted in another country and away from your own computer. If you want to get access to the latest films and TV shows that Popcorn Time offers, then you need to use a VPN to encrypt your internet connection, and make sure that your activity can’t be traced by anyone. We have rated and reviewed all the VPNs on the market to find the top ones for torrenting Popcorn Time. Fast speed – Fast speeds means not suffering slow downloads or having Popcorn Time movies interrupted with an annoying lag. A VPN with a fast speed is, therefore, essential as without a quick connection, a VPN is useless. Strong encryption – when it comes to the grey area of torrenting, a VPN with strong encryption techniques is required. This means that connections are totally private and downloads cannot be read by third parties. No connection logs – the best VPN providers do not log their customers’ online traffic or personal information. As a result, they are unable to divulge any information to legal inquiries from companies and government authorities. Should You Use a Free VPN to Unblock Popcorn Time? We would strongly advise against using a free VPN to watch Popcorn Time. With a free VPN, you will not be fully protected, leaving you wide open. A free VPN offers poor encryption levels, and we are yet to come by one that offers a true no-log policy – meaning you will not be torrenting anonymously. Additionally, the bandwidth is often extremely limited – making streaming and downloading very difficult. Are VPNs Legal with Popcorn Time? A VPN is perfectly legal to have on your computer. However, as already stated, it is Popcorn Time itself that is controversial in legal terms. Due to the legal issues surrounding Popcorn Time, we would strongly suggest that the only way you go about using it, is via a VPN. The VPN we recommend above all others is ExpressVPN. It is good to remember that Popcorn Time is equivalent to torrenting from The Pirate Bay, even though it looks like a fully legitimate company like Netflix. If you don’t want to get caught out in a grey area due to downloading potentially copyrighted material, then, without a doubt, always use a secure and anonymous VPN for Popcorn Time. Even though ExpressVPN is an expensive VPN, it supports P2P activity. Thus, users are able to access Popcorn Time to watch their favorite movies and TV shows without any hassle. The provider offers ‘Internet Kill Switch’ feature that allows the user to remain safe when the VPN suddenly stops working. Through 145+ server locations in 94 countries worldwide, users can stream the video content on Popcorn Time from anywhere. Also, the streaming speed provided by ExpressVPN is paralleled to none. Thanks! Your articles are informative as always. I don’t think I’d willingly use PopCorn Time without a VPN. I’d like to refer to a friend, so I’d like to know which VPN you would recommend to someone who lives in Nothern-Asia and has a never ending love for popcorn time? Hi! You’re smart to cover your tracks online with a VPN, and it’s good that your friend is also considering this useful strategy! There are several great options you can choose from when trying to access Popcorn Time and other streaming services from Asia. We recommend ExpressVPN as our top option thanks to the company’s combination of great speed and extensive server options. However, there are also great services such as IPVanish and HideMyAss which are known for their efficiency in connecting to streaming services with no major drop off, though they may lack some of ExpressVPN’s security-oriented features. However, no matter which option you choose, make sure to tell your friend to follow your advice and only connect through a VPN! good source of information about various vpn present in the market but Express vpn is good in my opinion but it is slightly costly. Doesn’t anyone know how the new law regarding net neutrality is going to affect accessing popcorn time? I know that the big companies might slow access, but does that have anything to do with VPN use? Really don’t want to get one of these just to find out Comcast is going to block my connection…. Thanks for asking such a relevant question! The information regarding the repeal of net neutrality is just coming out, and it’s still a bit too early to tell what the real impact will be once laws come into effect. Your only cause for concern would be if your internet connection is throttled significantly when visiting certain places. Your VPN may cause some lag, but it will be more noticeable from your general speed than the program itself. It’s still recommendable to use a VPN, however, as they offer several key benefits including security and access to content around the globe. We’ll keep an eye out on news to help keep you informed! This is so awesome! Popcorn Time is a new way to watch TV and movie but like me have many users didn’t aware how to use Popcorn Time service safely with a VPN. This post is a great help. I highly appreciated that and I am looking forward to the more useful post like this one. Well done Felicity! How does HideMyAss handle Popcorn time? You rated it as one of the best for torrenting, but it doesn’t even make the list to me. Thanks for the great reviews though. Hi, and thanks for the comment! We rated HideMyAss well for torrenting thanks to its faster speeds and reliable download times. However, the company has been known to keep track of some user logs, and may be compelled to share your data with government officials. The service is still very useful for some activities, but if you’re looking for downloading and streaming, services like ExpressVPN may be better suited to your needs. It’s working fine but I am concerned that speed of my video streaming may go down. Can you please suggest me any special tip to use Express VPN? Or any other suggestion if you have other than using this VPN service? (I am already using Express VPN). Hi! You have the same concern many other VPN users face, and it’s not uncommon for some VPNs to affect the quality of your streams. However, we’ve found that ExpressVPN has reliable speeds and shows very little signs of drop-off when streaming TV and movies. There are some ways you can stabilize your connection such as making your Wi-Fi private, connecting to a wired network, and disconnecting other services that take up your bandwidth such as downloads. Let us know if you experience any other issues! ExpressVPN has a high level of encryption to shield your identity and it is very reliable with responsive customer support. It is indeed the best VPN! Yes, I use PureVPN and it has never failed. I even access blocked websites and I stay absolutely anonymous. So far I have been using Express vpn and it’s fast When streaming. I have not received any messages about my account being closed. Express is very secure. ExpressVPN is the most secure way to watch your favorite content on Popcorn Time. It provides you with complete privacy and freedom so that you are not left alone and enjoy streaming to its fullest. Hello, my name is Janice and I’m a single mom of three. Popcorn Time is a life-saver because it means the kids can watch tv and movies without busting my budget. I have just received a letter from Comcast saying there had been copyright infringement. I can’t afford to pay for a streaming service but I also can’t afford to deal with fines. My friend told me about a VPN but I don’t know what it is. Can you help? Hi Janice. VPNs can definitely seem complex on the surface, but you don’t have to be tech-expert to benefit from using them. All you have to do is sign-up and follow the onscreen instructions to install the app. If you’re short on cash, the two-year price plan with NordVPN is just $3.29 a month. There are also completely free VPNs available but they won’t guarantee consistent protection if you’re worried about Comcast. I’have tried many vpn but finally i’m using ExpressVPN and its working well for me . they have fastest multiple servers in multiple cities. …about HMA, users were sent messages asking to stop files sharing otherwise their accounts would be closed. Then HMA is definitely not worth using it with popcorn time. I don’t know if the other VPN have the same issue ? So from our knowledge we have not experienced or have heard of this happening with other VPN services.